The Lenco L-85 is a semi-automatic turntable that makes your favourite records sound fantastic. 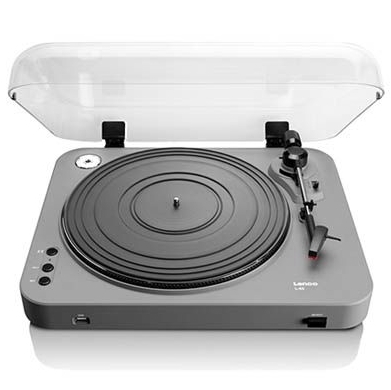 Its trendy design and modern technology make this turntable perfect for all enthusiasts. The Lenco L-85 produces superb high-quality sound. Because this turntable is so easy to use, you’ll be playing your favourite albums in no time. The Lenco L-85 is equipped with a mechanical tonearm lifter, a moving magnet cartridge (MMC) and a built-in preamp. You can play records at two speeds: 33 RPM and 45 RPM. 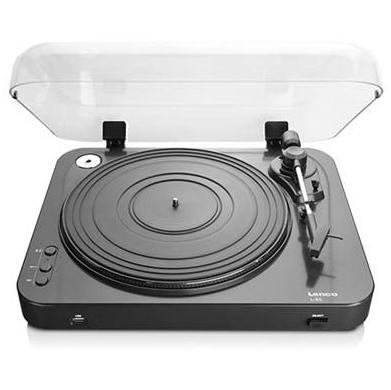 A removable plastic cover protects the turntable from dust. As the years have passed, your records may have become old and fragile. To prevent your favourite music being lost for ever, you can digitise your cherished vinyl collection using the Lenco L-85. Connect a USB Drive to the front of turntable and the job will be done in next to no time. Wherever you go, you will always have your favourite music with you.